Clayton Moore on a Postage Stamp! Clayton Moore on a U.S. Postage Stamp Campaign! Dawn Moore, daughter of Clayton Moore, is stepping up a campaign started in 2000 to persuade the United States Postal Service to issue a postage stamp in honor of her father. 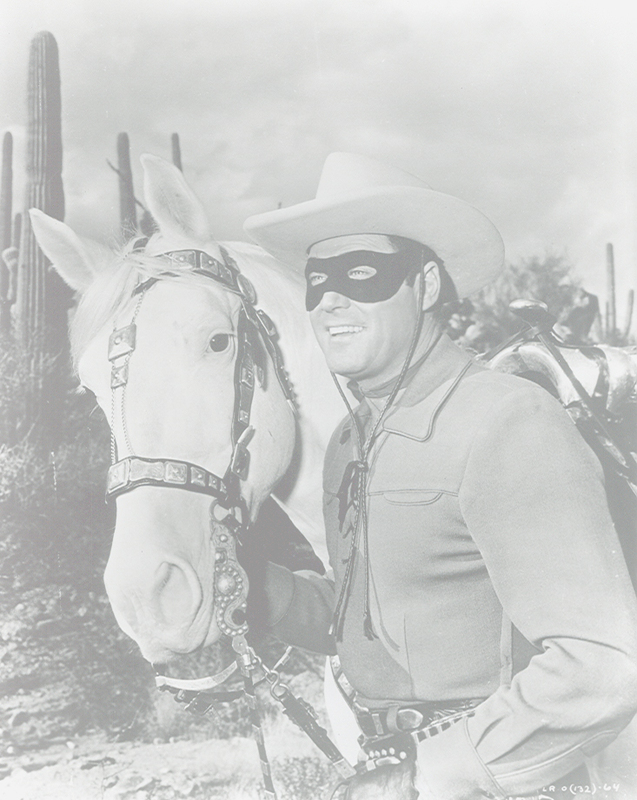 The earliest that Clayton can be honored is in 2009, which would also coincide with the 60th anniversary of The Lone Ranger television show debut. This would be a great way to memoralize the legacy of Clayton's impact as The Lone Ranger, as well as the character itself, with his image on a United States Postage stamp. According to the United States Postal Service guidelines, the subject of a new stamp must be submitted at least 3 years in advance of an anticipated stamp release date. This much time is necessary to allow for consideration and for design and production, if the subject is approved. Also, no stamp can be issued until at least 10 years after an individual's death. Also, the Postal Service does not review or accept any unsolicited artwork but rather they rely heavily on design coordinators for the selection of artists who will execute the designs. This is an invitation by Dawn Moore for fans to write to the Citizens' Stamp Advisory Committee and propose that Clayton Moore be the subject of a U.S. postage stamp in 2009. The requested release date would be on September 15, 2009, exactly 60 years to the day of The Lone Ranger television show premiere. Although it would be best for fans to write their own letter of proposal, I am showing you Dawn's letter, as a guideline. You are encouraged to write your own letter of proposal and to pass along this campaign to friends, family and Lone Ranger fans everywhere, in order to get a large volume of letters sent to the Citizens' Stamp Advisory Committee. I have included Dawn's letter as a Word document file, which you can click on and read, to give you some ideas for your letter. They will accept only regular mail letters of proposal. No email messages are accepted. ** Clayton Moore WILL be on a new stamp! "The Lone Ranger will be part of a collection the United States Postal Service designed called "Early TV Memories" and will be the instantly recognizable black and white image of Dad and Silver from the mid-1950's. The open-to-the-public ceremony is August 11, 2009 at the Academy of Televison Arts and Sciences in No. Hollywood, California and I hope to see LOTS of Lone Ranger fans joining me to celebrate! I truly want to thank everyone for all their terrific efforts in making this incredible tribute to the character my father so loved come true. Please do forward my heart-felt appreciation to everyone who loves the character and Dad and took a moment to write in." Click on HOME to go to Clayton Moore, The Lone Ranger page!